Looking for ways to increase searches on your Facebook store locator and drive in-store traffic? Here are 3 simple things you can do to make your Facebook store locator software more successful. March is National Nutrition month, and Bullseye is celebrating by offering a month of the Bullseye service for all Food Manufacturing companies who purchase a new yearly Bullseye subscription this March! This discount applies to Web Plus, Web Premium, and Facebook Premium subscriptions. Introducing Premium Facebook Store Locator! 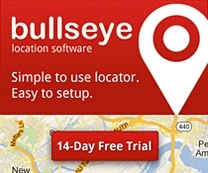 Bullseye now allows you to link to individual Facebook store location pages. The link shows up in the results list (and Google map pop-up) and takes users right to the Facebook store page.